have been forced into by this problem, and show the ultimate implausibility of the idea. Turner's conclusion sketches a picture of what happens when we do without the notion of a shared practice, and how this bears on social theory and philosophy. It explains why social theory cannot get beyond the stage of constructing fuzzy analogies, and why the standard constructions of the contemporary philosophical problem of relativism depend upon this defective notion. 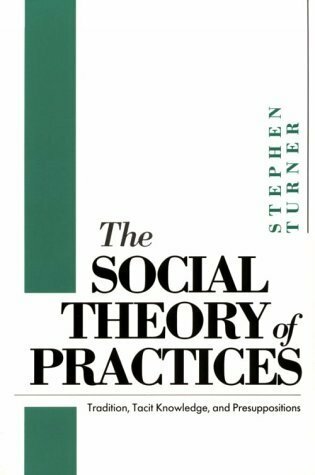 This first book-length critique of practice theory is sure to stir discussion and controversy in a wide range of fields, from philosophy and science studies to sociology, anthropology, literary studies, and political and legal theory.